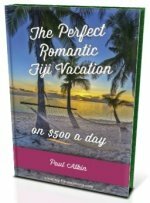 What is there to do in Nadi? 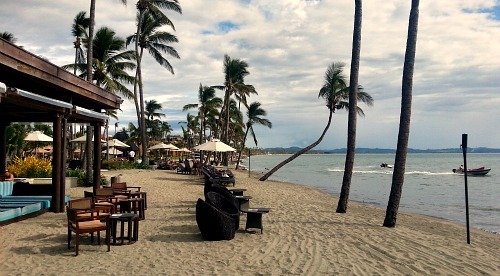 Explore 5 things in and around Nadi that you can tell your friends about what you did in Fiji. You might be surprised. As you have probably read on our hub Nadi Fiji information page, Nadi is a hub town for people on their way through. There's not much to do, and no nice beaches to speak of. In saying that, there are a few things in and around worth checking out. 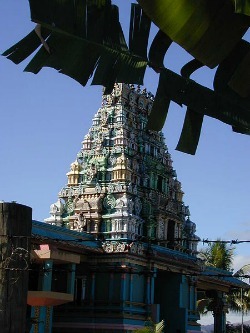 temple outside of India. If you are having trouble sorting out Hindu's dieties, there's a temple custodian ready to field your questions. Visitors dress code is neat and modest whilst leaving your shoes at the temple entrance. Photos are fine outside but not inside the temple. Non-Hindus aren't permitted inside the temple. Open: Mon-Sat 9am-5pm & Sun morn. It's about a 10-minute drive from Nadi. Options are with a tour which you can organise in Nadi or the airport, though a taxi is cheap and convenient. Nestled up in a cool tropical jungle valley, it's a leisurely stroll mostly under shade displaying Fiji's largest orchid collection, over 1500 varieties in fact. Estimated time to walk around is 45 minutes. 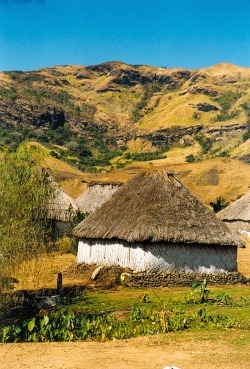 is a photographer's delight being one of the most picturesque villages in Fiji. Although possible to visit without a guide, one must be careful not to insult. Their are village etiquettes including dress code, what to bring as a gift, and also what to do when you turn up unannounced. A few kilometres inland past the Sleeping of the Giant lies Sabeto Hot Springs. Taxi from Nadi will cost around FJ$15 or check details for the local Wailoko bus which leaves and comes back to Nadi thrice daily. There's a series of geothermal hot pools and a mud pool. The knee-deep mud pool may be a little unnerving to begin with, but smearing it over your friend might make you feel better. It's said to be healthy for your skin, for body pains, and even heals skin diseases. Transportation: Taxi from Nadi is around FJ$15 and $30 from the airport. The local 'West Bus' will get you there for $0.70. To do: restaurants, cafes, flat but watery golf course, shopping, and beaches. If you are getting the hankering for some luxurious pampering, Denarau Island is it. Separated by a short bridge, this private island is lined around the coast with 5-star resorts and hotels. It couldn't be any different to normal Fijian life. Check our Denarau Island section for more.